The 38th annual Saturn Awards, which honored TV and film’s recent horror, sci-fi, fantasy, and action achievements, were held this week. Best Film Awards went to “Marvel’s the Avengers” (Science Fiction); “Life of Pi” (Fantasy); “The Cabin in the Woods” (Horror/Thriller); and “Skyfall” (Action/Adventure). Best TV Awards went to NBC’s “Revolution” (Best Network Series); AMC’s “The Walking Dead” (Best Syndicated/Cable Series) and “Breaking Bad” (Best Presentation on TV); and MTV’s “Teen Wolf” (Best Youth-Oriented Series). SuperHeroHype offers a full list of winners. You can catch “Life of Pi” and “Skyfall,” as well as other Saturn Award winners, “Cloud Atlas,” “Django Unchained,” “The Hobbit: an Unexpected Journey,” and “Les Miserables,” on Suddenlink Video on Demand (VOD). Where Suddenlink VOD is available, check out these and other titles by going to Channel 1. A Suddenlink digital receiver is required to access the VOD menu. NBC, AMC, and MTV are available to virtually all Suddenlink customers who have what is commonly known as Expanded Basic TV service. 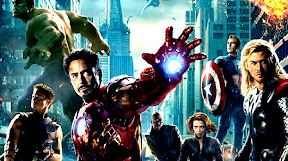 In just four days, the blockbuster hit “Marvel’s The Avengers” will be available through Suddenlink Video on Demand (VOD). Marvel Comics’ top superheroes – Iron Man, The Incredible Hulk, Thor, Captain America, Hawkeye and Black Widow – team up to battle Loki, the Asgardian God of Mischief, Madness and Evil. “The Avengers” stars Robert Downey Jr., Chris Evans, Mark Ruffalo, Chris Hemsworth, Scarlett Johansson, Jeremy Renner, Tom Hiddleston and Clark Gregg. Where Suddenlink VOD is available, check out this and other titles by going to Channel 1. A Suddenlink digital receiver is required to access the VOD menu.